Do you have boiler problems? Power flushing breaks down and removes the deposits which build up within the system that cause problems to the system and its working parts. It can help restore efficiency to your heating. With over 10 years of experience, we are experts in Boiler installations, repairs and services. We cover most parts of Essex providing a whole range of services central heating repairs, boiler installations and system power flushing. Where we can supply a new boiler, design you a brand new heating system or install a new boiler and integrate it with your current heating system. Regular boiler servicing ensures that your boiler is not only running efficiently but also safely. We recommend that boilers are serviced once a year to ensure they are operating properly. Having problems with your boiler or central heating system? 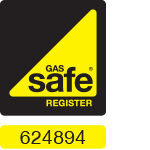 Our fully trained Gas Safe registered engineers will have you back up and running in no time. Power flushing is an effective solution to clean your whole central heating system including, all pipework, radiators and throughout your cylinder and boiler. I can highly recommend Boiler Magic, their engineer was extremely helpful and got my boiler back up and running in no time at all. After spending 2 days with no hot water or heating I could not be happier with my new boiler. Thank you Boiler Magic!